Ready to learn How to Monogram a Bag? If you’re following me on Instagram, you’ll know that I am heading out on vacation soon! With vacation, comes new beach accessories. 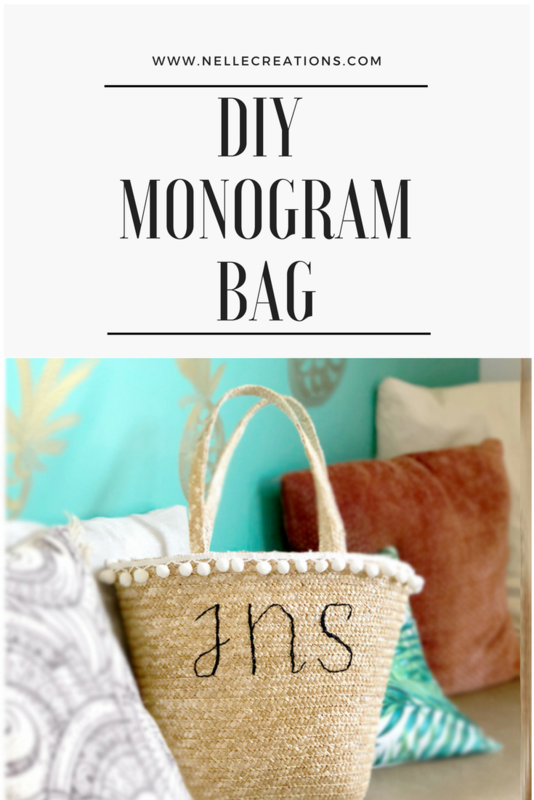 For the longest time, I’ve wanted a Monogram Beach Bag so this year I decided to DIY one. My local craft store has this huge selection of Straw Accessories (See my DIY Straw Clutch DIY here) that I may have gone a little crazy on. I stopped myself at two accessories but believe me there were more that I wanted. I swear I’m like a kid in a candy store when I walk into a craft store. The ideas start flowing and I have to stop myself from purchasing everything! Check out the video below for a tutorial on how you can create your own Monogram Beach Bag in under 30 minutes. All you’ll need is a bag, simple sewing accessories and embroidery thread.